Carol Danvers channels energy with incredible force to blast into the fray of intergalactic battle as Captain Marvel. This 6-inch-scale Captain Marvel (Binary Form) figure, inspired by the Captain Marvel movie and the same cinematic universe as Avengers: Infinity War, features detailed design and fiery binary form power accessories. This Marvel Legends Series action figure includes 6 Captain Marvel (Binary Form)-inspired accessories including 4 power effects accessories and 2 alternate heads (non-helmet binary and flame helmeted), all inspired by Captain Marvel from the Captain Marvel movie. 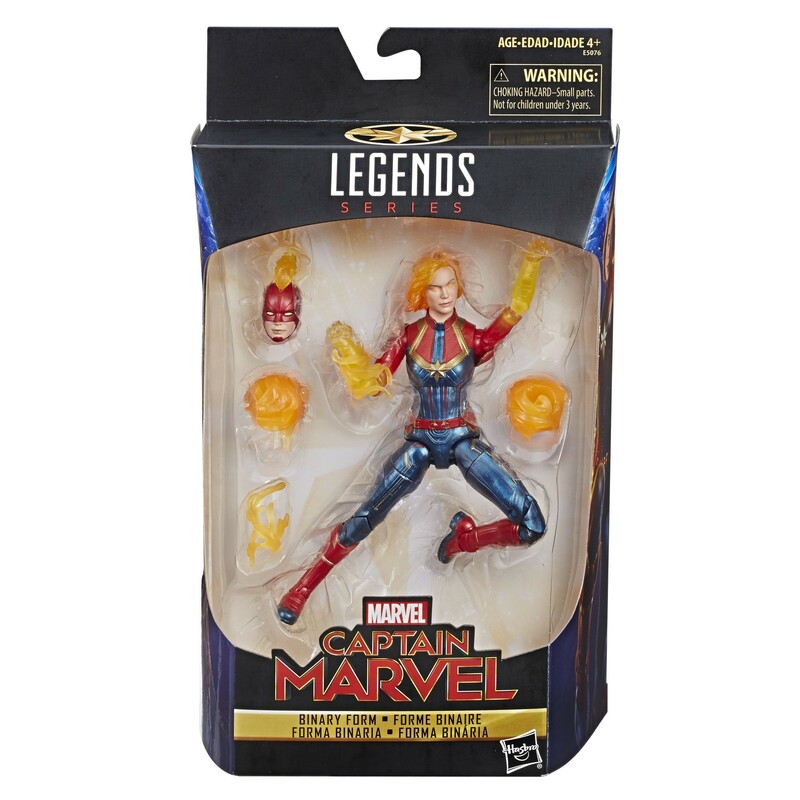 This 6-inch Captain Marvel (Binary Form) figure is highly articulated and features Captain Marvel movie-inspired design, making it another worthy addition to the Marvel Legends Series.